The origin of the model name 'SM' is not clear. The 'S' may derive from the Project 'S' designation, the aim of which was to produce what is essentially a sports variant of the Citroën DS, and the 'M' perhaps refers to Maserati, hence SM is often assumed to stand for 'Sports Maserati'. Another common alternative is Série Maserati, but others have suggested it is short for 'Sa Majesté' (Her Majesty in French), which aligns with the common DS model's nickname 'La déesse' (The Goddess). The SM was Citroën's flagship vehicle, competing with other high-performance GTs of the time from manufacturers such as Jaguar, Lotus, Ferrari, Aston Martin, Alfa Romeo and Porsche. It was also Citroën's way of demonstrating just how much power and performance could be accommodated in a front-wheel drive design. 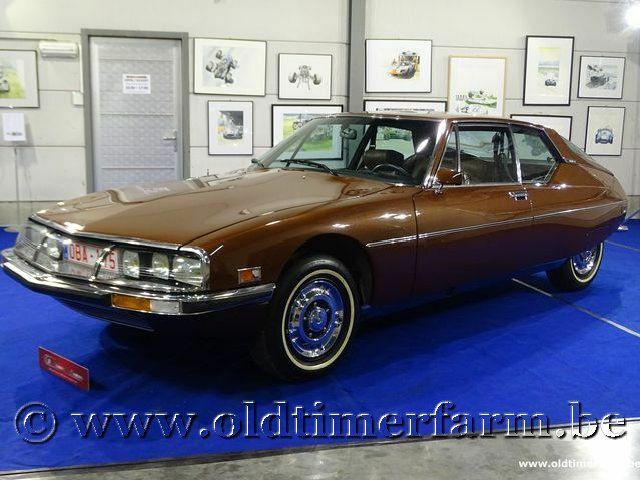 Unfortunately, the SM did not find a sufficient customer base in the European GT market, but much of the SM's technology was carried forward to the successful Citroën CX, launched in 1974 the DIRAVI steering being the most obvious example. The same basic engine in enlarged 3.0 L form (some in Italy had 2.0 L) was used in Maserati's own Merak which, together with Maserati's Khamsin and Bora, used Citroën's high-pressure hydraulics for some functions, and the Citroën gearbox in the Merak, during the Citroën-Maserati alliance. 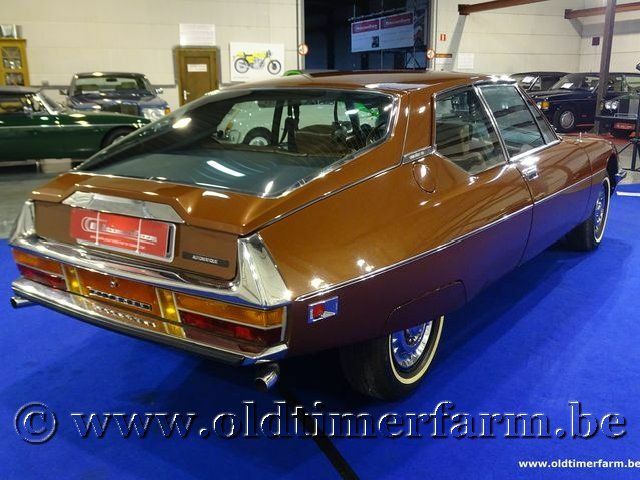 The look of the car, although easily identifiable as Citroën, is quite distinct, with a shape that even today looks futuristic The car was even used in a 1999 television advertisement for British Petroleum of Spain, where 'a futuristic car was required'. Designed in-house by Citroën's chief designer Robert Opron, the SM bears a vague family resemblance to the DS, especially in retaining the latter's rear-wheel spats. Seen from above though, the SM resembles a teardrop, with a wide front track tapering to a narrower rear track. In 1970, it was a car of the future and the fastest front-wheel-drive car, with a factory-quoted top speed of 220 km/h (140 mph), and independent tests achieving as much as 235 km/h (145 mph). It was an example of the car as a symbol of optimism and progressive technology, similar to the SM's contemporary, the Concorde aircraft. Engine: Inline six 2965 cc (181 ci), front mounted, 12 valves, injection, auto 3-speed gearbox, front-wheel drive.